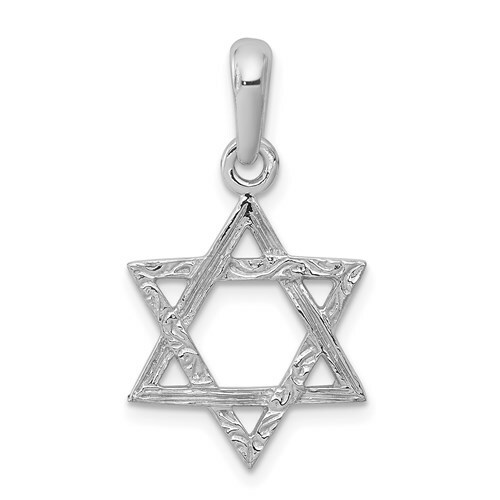 Star Of David Pendant is made of 14kt white gold. Weight: 1.29 grams. This reversible star of david looks the same on both sides. Item measures 9/16 inch wide by 11/16 inch tall without loop and bail. This item is the size of a dime. Made in the USA. Chain not included.